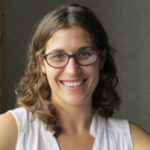 Janine Titley currently works as a Consultant at Innovations for Poverty Action, supporting a number of projects in Uganda, Rwanda and Ghana evaluating the impact of programmes aimed at stimulating growth among micro and small enterprises. She was also involved in the implementation of the study on training for entrepreneurs in South Africa, whence she hails. Janine completed her Bachelor’s degree at the University of East Anglia and is currently living in the beautiful Cape Town, South Africa.